Have you ever wondered how rich Bob Iger is? According to authoritative sources, it is estimated that Iger’s net worth is currently well over $100 million, with his total his annual salary equalling more than $30 million. Obviously, all his wealth is being accumulated during his work in the business industry, now spanning more than 40 years. Bob Iger grew up in Long Island, Oceanside, in a Jewish family. His father, Arthur was a veteran of World War II who worked as a manager of the Greenvale Marketing Corporation, and his mother, Mimi, was a teacher at the Boardman Junior High School. After his education at Fulton Avenue School, he attended the Roy H. Park School of Communications, Ithaca College in New York, and graduated with a BA degree in TV and Radio Communications. Soon after graduation, his career on TV began, as he was appointed as a weather man on one of the local television stations. In 1974, he made progress and joined the American Broadcasting Company (ABC), and slowly began to climb up the ladder in the company. His efforts were rewarded in 1989, when he was named the company`s head of entertainment which certainly increased his net worth. However, he assumed the position of president in 1993 and served until 1994, while in addition he was Capital Cities/ABC senior vice president from March 1993 and then became executive vice president in July 1993. In 1994, he was appointed as president and chief operating officer of Capital Cities/ABC. Two years later, Capital Cities/ABC was bought by The Walt Disney Company, and given the new name of Capital Cities\ABC, ABC. 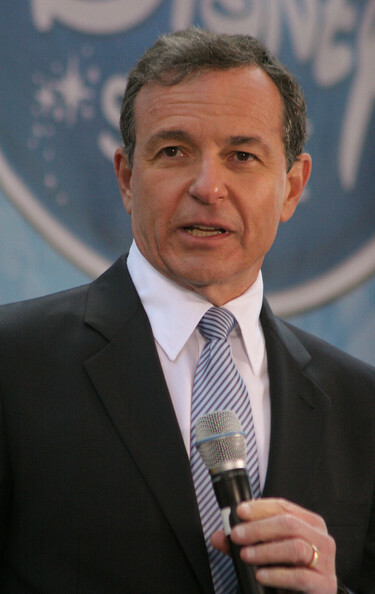 Inc. – Iger remained the president until 1999. Thanks to his skills, Bob advanced pretty fast, and was soon named president of Walt Disney International, and also the chairman of the ABC, which certainly increased his net worth. In 2000, Bob`s net worth increased further, as he was appointed as president and chief operating officer, becoming the second man of the company, behind CEO and Chairman Michael Eisner. However, his career didn`t stop there, as only five years later, it was announced that Bob would succeed as chief executive officer. While serving as Disney`s CEO, Bob`s net worth increased considerably, as in 2009 alone he received $29 million in total salary, and by 2015, that had increased to $46.5 million. Iger is responsible for Disney`s successful business ventures, which include acquiring of Pixar, for $7.4 billion in 2006, and adding Marvel Entertainment in 2009, and Lucasfilm in 2012. To speak of his other successful ventures, Bob Iger made a bid to build new stadiums for the NFL clubs San Deigo Chargers and Oakland Raiders, and if he is selected, Bob will have a minor ownership of one of the teams. If to talk about the personal life of Bob Iger, it is known that he has married twice, firstly to Kathleen Sugar with whom he has two children, and secondly to Willow Bay, a journalist, since 1995 with whom he has two sons – they live in Los Angeles, California. Bob has been recognised as a philanthropist; Steven Spielberg, founder of the Shoah Foundation Institute for Visual History and Education, rewarded him with the Ambassador for Humanity Award in 2012. 1 Father, with Willow Bay, of two children. 2 Current President of the Walt Disney Company (2006).